Turn the words from your favorite song into a work of visual art! 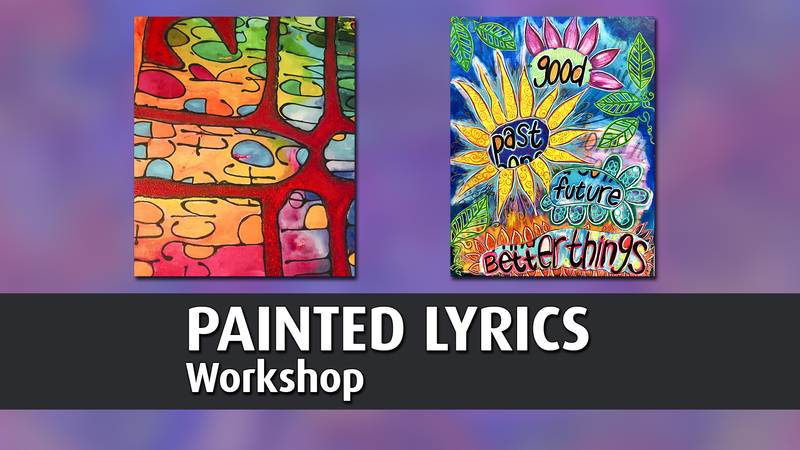 We will start by using a Posca paint pen to write out the lyrics, then we will use a variety of acrylic paints to turn it into an exciting composition fit for framing. Use as many or as few of the lyrics as you'd like, or use a quote, verse or passage from a book if you'd rather. The possibilities are endless! You'll start paying extra attention to the songs on the radio so you can turn them all into paintings!